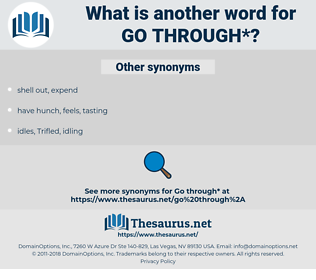 What is another word for go through? pursue to a conclusion or bring to a successful issue; " Did he go through with the treatment? 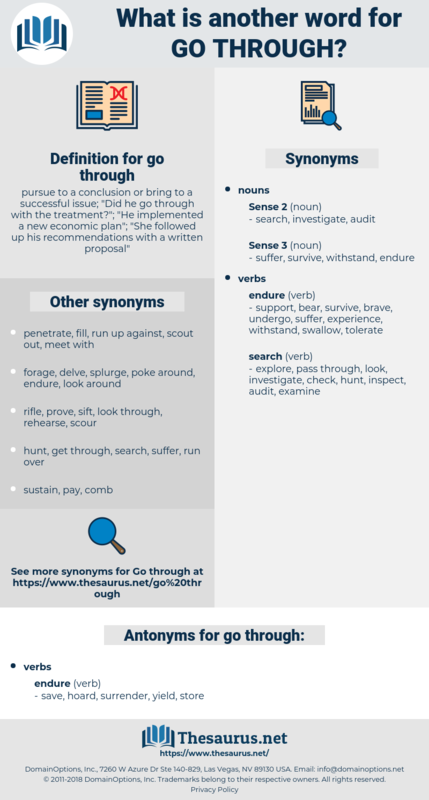 "; " He implemented a new economic plan"; " She followed up his recommendations with a written proposal"
save, hoard, surrender, yield, store.